Yunnan province in China is a haven for dinosaur remains – especially the Lufeng area. To date, it has yielded 76 complete specimens of Lufengosaurus – a plant-eating dinosaur from the Jurassic era. This photo by Marsel van Oosten from the Netherlands is the winner of the Wildlife Photographer of the Year 2018 competition. 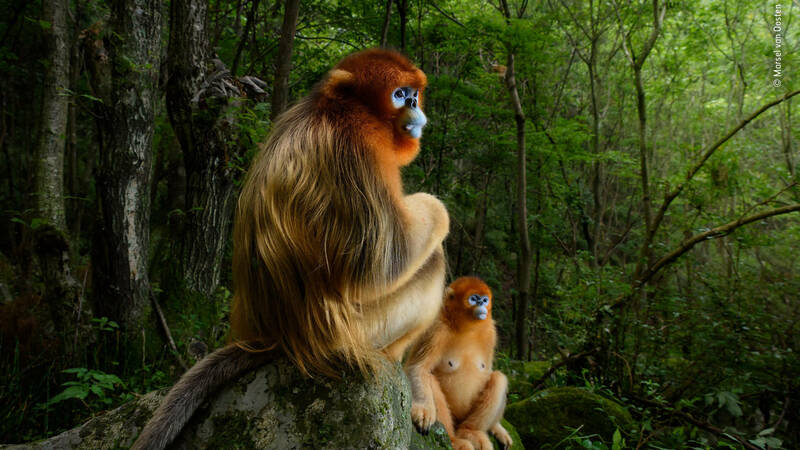 It shows two golden snub-nosed monkeys, a male (in front) and a female, in a forest in the Qinling mountains in China. Rangers in the Dafengding Nature Reserve in southwest China’s Sichuan province recently came across a sleeping wild panda cub, the first time a cub has been discovered in the wild since the reserve was established 40 years ago. Despite some disagreement about whether to approve and deploy a vaccine against H5N2 bird flu, the latest iteration of such a drug appears to be remarkably effective. US Agriculture Secretary Tom Vilsack told the House Agriculture Committee that researchers had developed a vaccine that was 100 percent effective against H5N2 in chickens, with testing in turkeys currently ongoing, reports CBS News. If approved, the vaccine could be produced and rapidly used in the event of further outbreak. But now also a chicken business in Ter Aar [in the Netherlands] turns out to be infected [by bird flu]. Again, tens of thousands of chickens will be killed. Is that really the best way to fight the disease? Just this week it was announced that vaccination is possible. Dutch researchers are the first scientists who have succeeded in developing a vaccine that can be administered on a large scale. One of the researchers, Professor of Pharmaceutical Technology and Biopharmaceutics Erik Frijlink, explains that vaccination is a better way to prevent outbreaks of bird flu. The vaccine has been developed on the basis of H5N1, but the technique is also applicable for H5N8, the ‘Hekendorp‘ virus.